UPDATE: As of September 8, 2018, this workshop is sold out. Please contact us to be placed on a waiting list, and please do check out our other workshops. There’s a reason it’s called the Land of Enchantment! If you haven’t ever been to vibrant New Mexico, you are in for a treat. There is no better time to be in New Mexico than September, when warm days give way to cool nights, and the scent of roasting green chiles lingers in the air. And there is no better guide to help you explore the 47th state than Muench Workshops pro and New Mexico native Wayne Suggs! 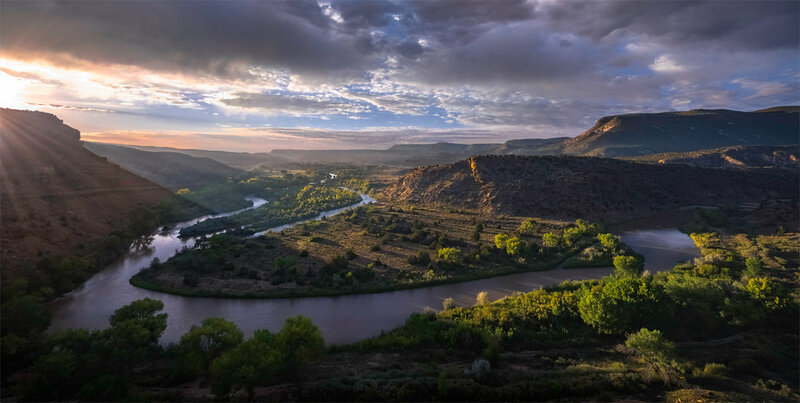 Wayne has developed a singular style for photographing New Mexico’s many natural and cultural wonders, and he’s here to help you achieve spectacular images as well. We’ve time our workshop to coincide with the ideal moon phase for night photography, allowing for perfectly illuminated landscapes beneath the Milky Way. You’ll practice your composition skills, and learn new techniques for lighting landscapes; of course we’ll also make time for our signature image reviews and instruction in accentuating your images in Adobe Lightroom and Photoshop. We will be based beneath the cottonwoods, in the quaint riverside Abiquiu Inn. Expect warm hospitality, delicious meals and ready access to all of our photographic destinations. September 20, 2019: Meet and greet on the front veranda of the Abiquiu Inn at 4:00 PM, before our group dinner. Wayne will take this time to review the itinerary with you, and review your camera settings. 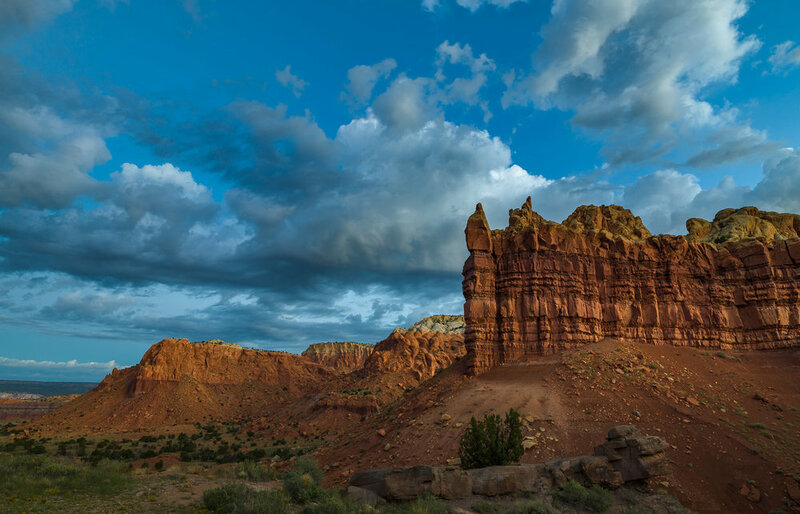 During a first evening shoot, you will also learn how to use low-level lighting techniques to illuminate the foreground of a landscape scene. September 21, 2019: Early morning shoot, followed by breakfast and an image review. After the image review, we’ll have lunch and then depart on an afternoon visit to red rocks. Following sunset and dinner, weather permitting, we’ll have another evening session. 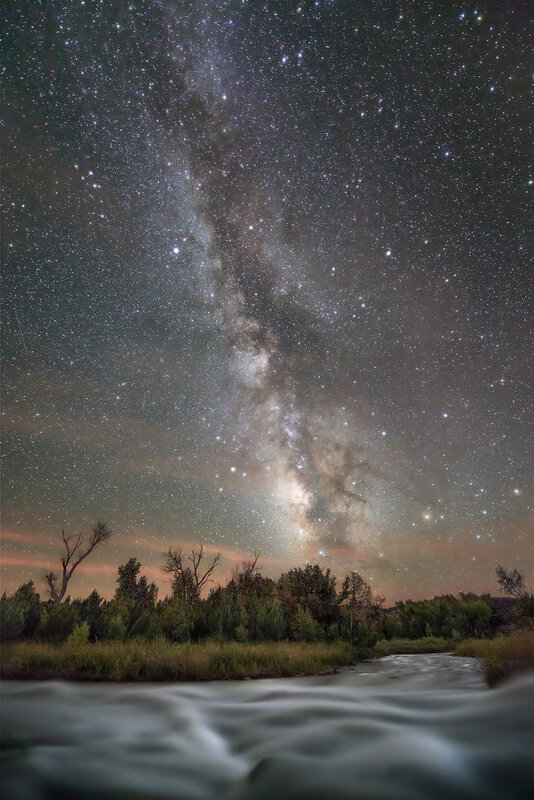 If the skies are clear, Wayne will lead you on a night sky photography shoot to capture the Milky Way. 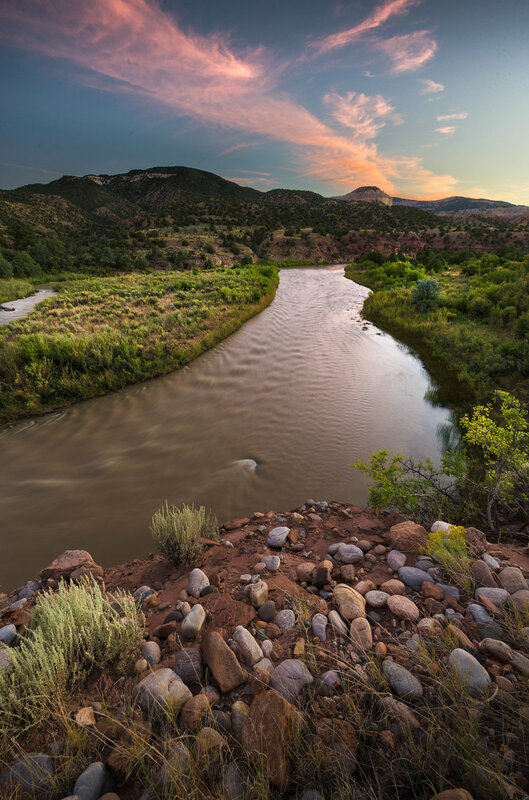 September 22, 2019: Early morning shoot along Chama River followed by breakfast and image review. Lunch and afternoon downtime prior to early dinner followed by sunset and possible star shoot. This is the best chance to capture the moonlit landscape with the Milky Way all in one exposure. Keep your fingers crossed for a clear night! September 23, 2019: Final sunrise at a location TBD based on weather. After breakfast, workshop concludes. Transportation to and from Abiquiu New Mexico. Trip and cancellation insurance (optional). Items of a personal nature. Alcoholic beverages. Anything not specifically listed as included. Your deposit of $1,250 is due at sign up and will hold your space in the workshop. The balance of $1,745 is due by June 1, 2019. All of our standard terms and conditions apply. Need special payment arrangements for your deposit? No problem, just ask us. Enjoy the fall season in the magical high desert! Don't wait, click the Sign Me Up! button and we'll see you in the Land of Enchantment!